Girls rock star birthday tutu, rocker Halloween tutu, punk rock tutu. 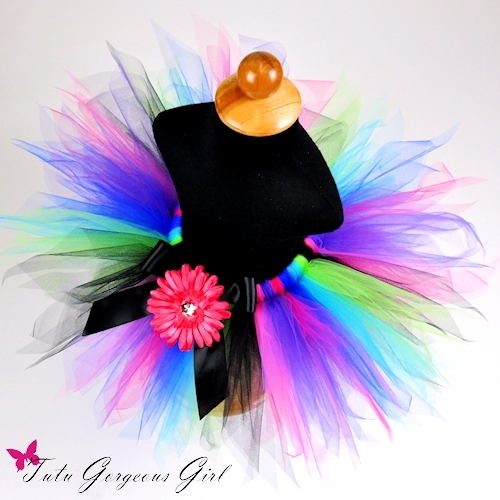 The Punk Diva tutu is perfect for a rock star themed birthday party, Halloween costume or everyday fun! 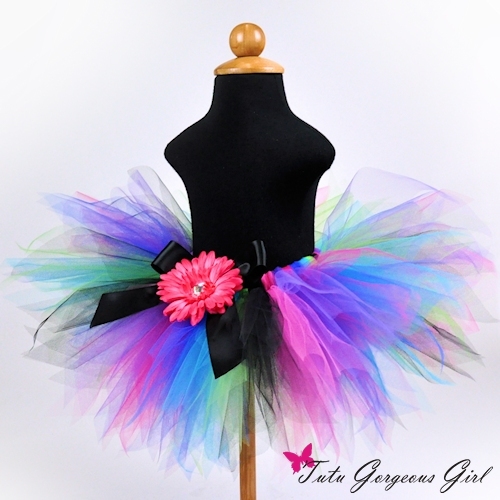 This pixie cut tutu features bubble gum pink, purple, fuchsia, royal blue, turquoise, apple green and black tulle. 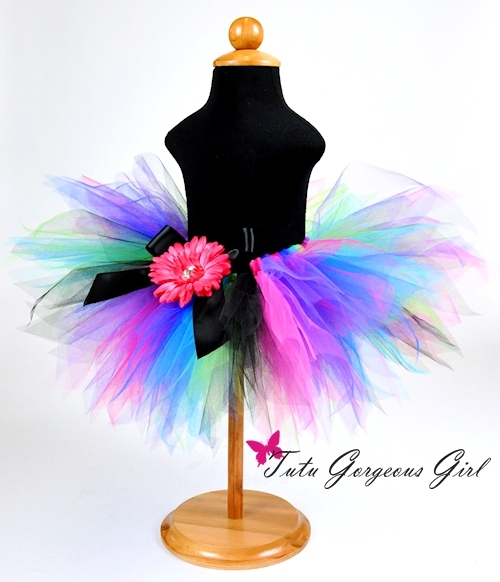 Tutu includes a satin bow at the waist and optional flower clip and stretch headband.